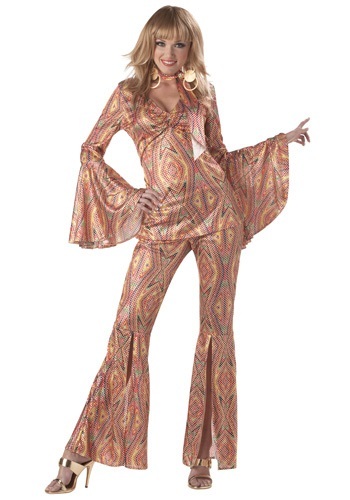 1970s tagged items for the 2015 costume season. Includes vest, shirt, and pants. Does not include wig, jewelry or shoes. Includes shirt, vest, and pants. Does not include wig, sunglasses or shoes. This Disco Fever 1970s Necklace features the 1970s pendant. Includes jumpsuit, belt. Does not include earrings or shoes. This brown wig and moustache set features a long wavy wig and a handlebar moustache. Headband, top and bell bottom pants. Shoes, Jewelry, and Glasses not included. Jumpsuit and belt. Does not include wig, shoes or jewelry. Jacket, Pants. Shirt, necklace, glasses, wig and shoes are not included.